Ar-Raqqa has developed into a leading economic centre in the Syrian areas held by ISIS, and according to what some traders who work between Syria and Iraq confirm, only Mosul outdoes ar-Raqqa in this regard. 1-The geographical location of ar-Raqqa , which is characterized by its relative closeness to the passages of goods and commodities leading to some border crossings with Turkey, and its relative closeness to Hama , which is located in the middle of the routes that lead to both Lattakia and Tartous harbours. 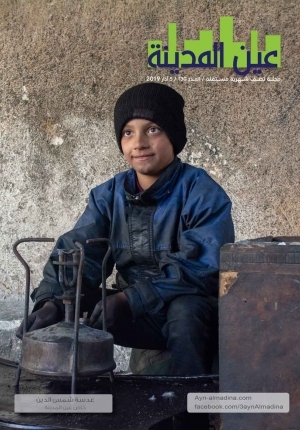 2-The move of some traders and industrialists from cities and towns of Aleppo to ar-Raqqa, from the summer of 2012 until the end of the first year of ISIS control over ar-Raqqa, after their business activities had stopped as a result of the war going on in their areas. 3- The growth of ar-Raqqa population as a result of successive waves of displacement to the province – before ISIS control over it – from Aleppo, Deir ez-Zour and Homs,and later, from some cities such as Palmyra, al-Sukhna and the other population communities in Badiat al-Sham, which the war spread to. In total, the numbers of those who come to ar-Raqqa have remained higher than those who leave it in the waves of reverse displacement, which consist mainly of the residents who come originally from ar-Raqqa. 1-The first group are those traders each of whom has a capital that ranges between 1 and 5 million dollars, and their number is no more than 20 traders. This group consists of senior currency dealers ,wholesale traders, gold traders, and farming materials traders . Senior landowners can also be added to this group. 2-The second group are those traders each of whom has a capital that ranges between 0,5 and 1 million dollars, and their number is no more than 100 traders. This group is composed of small machinery traders, some money changers , goldsmiths, and those who trade in tyres, junk materials, and spare parts. We can also classify middle rank owners of land and real estate into this group. 3-The third group consist of those whose capital ranges between 0,1 and 0,5 million dollars. The members of this group constitute the majority of the trade community, and their number is estimated at about 1000 traders. It includes the owners of large oil tankers and oil traders ,wholesale fruit and vegetable traders, senior clothing traders , senior craftsmen and industrialists who have lately opened workshops and small factories ,car dealers, and dealers in electrical appliances. The attempts that ISIS has made to organize business activities- and industrial ones should they exist- lack earnestness, maturity and a conscious sense of responsibility. 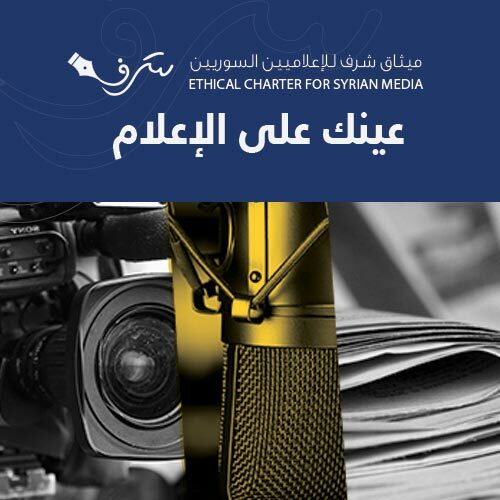 Although ISIS propaganda boasts about its prosperous markets and its fighting dishonesty, there has appeared no obvious and sole apparatus among ISIS apparatuses that undertakes the responsibility of the affairs of economy in "wilayat ar-Raqqa"(ar-Raqqa province), as in the other" wilayas"( provinces). Most of the organization officials and emirs- judges, sharia men, Islamic Police emirs, security men and military men- interfere in the economic affairs of the"wilaya",each one in his geographical area, and according to motives and the amount of influence. Over the last two years of ISIS control over the province , several decisions have been made that don’t have legal status and lack consistency with each other, not to mention the repeated breaches and amendments of these decisions. This situation has resulted in a strange and extremely unstable work environment . As for the issue of the agricultural lands that were nationalized according to previous socialist resolutions, ISIS attitude hasn't been consistent. 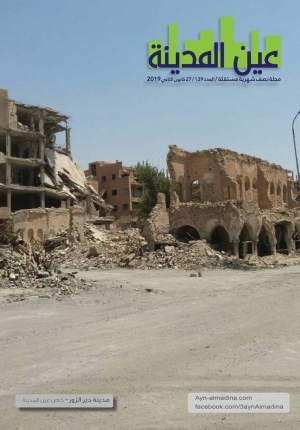 It took away some of these lands from the current owners and restored them to their original owners in some of ar-Raqqa areas, while it left other lands in other areas under the ownership of the current owners or those who make use of them. As for the issue of the resolutions related to the businesses that have been invested for a long time under the system of freehold tenancy, the same has happened; ISIS evicted some tenants from some businesses without any compensation , favouring some owners, who had received huge sums of money from the investors when these businesses were rented out, while it threw out some cases that were brought by other owners, favouring the investors. In the field of industries and crafts, ISIS attitude hasn't been better. ISIS leaders, for instance, prevent some people in some areas from imitating well-known trademarks and allow other people in other areas to do that. As a result of this trade and industrial reality, which is strange, chaotic and dangerous at the same time, wealthy traders, proprietors and industrialists have felt compelled to make a choice between leaving ISIS- held areas, with the possibility of their wealth being confiscated by the organization, or remaining under ISIS and adapting themselves to the facts of this new reality. The sole form of adaptation is to be loyal to the organization or to support it, and then to build up a network of relations and mutual benefits with leading figures within it so that for some rich people one can turn away from evil and protect oneself from being detained, and protect one's wealth from being confiscated, while other rich people engage in this expedient conduct so that they can get preferential treatment and make gains. The difficulty or perhaps the impossibility of transferring wealth outside the organization- held areas provides them with sufficient justification for remaining in these areas, especially for land and real estate owners because the organization hastens to confiscate the property of absentees or those who living in the areas of "apostates and infidels", which are all the areas that aren't under ISIS control. There is another factor that must be mentioned when we want to explain the motives of the wealthy for adapting themselves to"Da'eshists"(ISIS members) or ingratiating themselves with them. This factor is represented by the traditions of economic activity inherited from al-Assad's time, which made building strong relationships with senior state officials something indispensable for procuring support in hard times, when life is fraught with danger, problems and uncertainties, and achieving a degree of feeling safe in an environment in which charges are made and heads are cut off for trivial reasons. Alongside the majority of wealthy people who are forced- through economic necessity- to adapt to ISIS, there has appeared a minority of all financial sections supporting the organization on principle. Most of those principled people came from Aleppo countryside towns. In practice, the effect of this principle varies according to the circumstances, and the skill and daring of each of them to become more and more involved with the organization, in the hope of getting preferential treatment and having influence and status. The general benefits the organization reaps from these principled people are embodied in their providing financial, functional, and trade services to the organization different apparatuses. Some of the members of this group are asked to procure goods that have dual uses in both civilian and military fields, or to facilitate the transfer of money from ISIS-held areas to other areas that are out of the organization control or vice versa, or to undertake other missions that are easy for traders to carry out. As regards the special benefits, they are obtained by some ISIS leaders who are corrupt, and they constitute a considerable and increasing proportion within ISIS first and second line of command in ar-Raqqa. 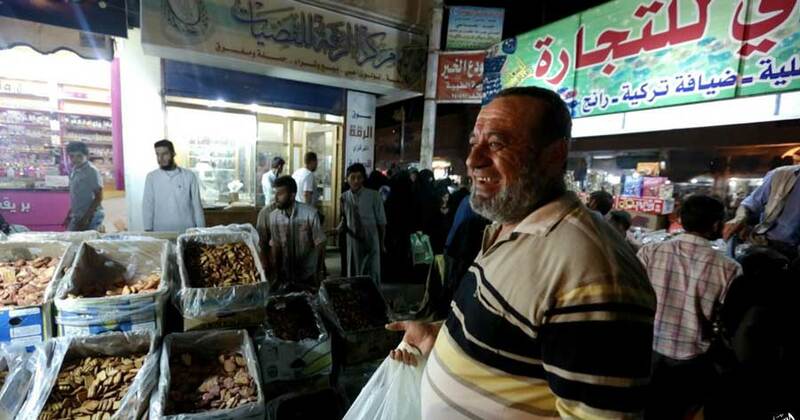 These benefits can take different forms ; some ISIS leaders invest their money through some traders, and receive bribes in the form of alms and large financial donations given by the trader to the " Da'eshist" official on the pretext that the latter is aware of the deserving aspects of expending them better; some leaders receive special treatment- getting things at minimum prices- in their daily dealings. On the other hand , some ISIS leaders care to provide help for some senior wealthy people in return for nothing for the time being, according to what is called "sowing favours" in the hope of reaping subsequent benefits in return for the " sown favour". In September 2014, a famous investor in ar-Raqqa nicknamed al-Makhraz disappeared in mysterious circumstances. Al-Makhraz would invest depending on other people's money. Some people alleged that he had run away. Others said that he had been detained by ISIS security men in the hope of getting the money that was in his custody. Ar-Raqqa traders estimated this money at around 20 million dollars. There was a series of legal actions against al-Makhraz that came before ISIS judges, who seemed perplexed and unqualified for this kind of case – and most kinds of the other cases. That made several judges take turns to consider this case, and each judge used procedure that was different from the procedure followed by another judge . some judges didn't treat the depositors alike ; one judge caused some depositors additional losses when he tempted them to give away the profits they had received from al-Makhraz to other depositors in exchange for recovering their investment capital later. But the depositors deceived by the promises of this judge didn't obtain anything, while the mediation of Abou Ali al-Shar'i, who is one of the organization influential officials, helped some depositors to recover the whole of their investment capital. This incident reminded people of similar incidents involving some investors in the time of al- Assad's regime, and demonstrated that the economic environment under ISIS lacks safe and legitimate ways of investing savings, which are starting to be eroded as a result of the general circumstances of the war and the special circumstances of ar-Raqqa and the other areas under ISIS. 1- As soon as ISIS managed to impose its presence in ar-Raqqa, it started to abuse some traders, and detained sheikh Ahmad Aj'jan al-Hadeed, a prominent and well-known trader, on the pretext of his "corrupt salafi doctrine" and seized his property, which some traders estimated to be worth 3 million dollars. Later on, he was set free by some Free Army regiments that broke into ISIS jails during the battles between the two sides. 2- ISIS judges compelled a trader who would package rice in bags that imitated the trademark of a famous brand to pay 200,000 dollars as a fine for dishonesty, whereas they didn't impose fines on other traders who imitated other goods and commodities.